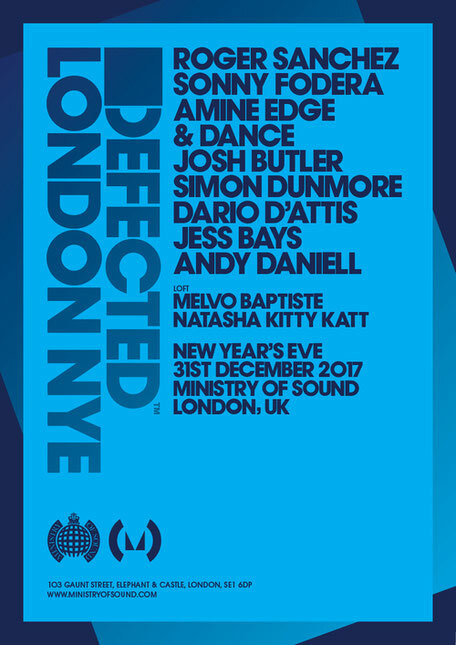 Defected Records recently announced their return to the Ministry of Sound on New Year’s Eve. Having made stops around the globe in Dubai, Ibiza, Croatia, Belgium, Amsterdam and more, the party returns home to London on 31 December for a huge end-of-year celebration. This has been a good year for Defected, seeing the second instalment of Defected Croatia and their return to Ibiza with a residency at Eden. The festival, which took place at The Garden in Tisno earlier this year, included more DJs, beach parties and impromptu back-to-back sessions across six days. And after 20 weeks’ worth of parties at Eden, the label’s nights proved popular in San Antonio. Going hand in hand with the parties has been the number of releases throughout the year, including ‘Cola’. CamelPhat & Elderbrook’s track possibly became the Ibiza anthem and the soundtrack to many DJ’s and clubber’s summer. Further tracks came from Franky Rizardo with ‘Same Man’, as well as Josh Butler, Amine Edge & DANCE, Dario D’Attis, who will all be appearing at the New Year’s party. This line up for Ministry consists of international DJs at the London venue. Flying the Defected flag across the Box, 103 and Loft rooms are: Roger Sanchez, Sonny Fodera, Amine Edge & DANCE, Josh Butler, Simon Dunmore, Dario D’Attis, Jess Bays, Andy Daniell, Natasha Kitty Katt and Melvo Baptiste.